A Bright and fun way to help you organize your space. Feel like your at the beach as soon as you walk in your classroom with all the Flamingo themed decorations. There are 28 different labels in 2 different sizes- 56 total lables. 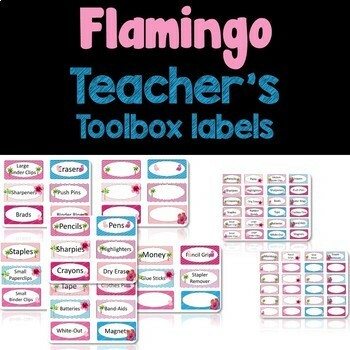 There are also numerous labels that you can edit to make your own.